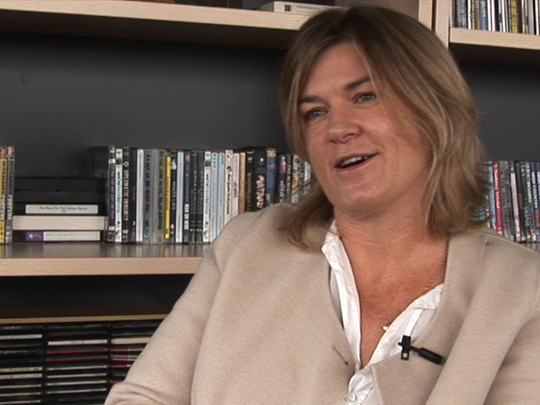 Kelly Martin is Chief Executive of South Pacific Pictures. She began her TV career working in the photocopy room at TVNZ, before moving on to international acquisitions for the company, then to TV3 where she was a scheduler and ultimately Director of Programming. At the network she oversaw a number of hit TV shows such as Outrageous Fortune, bro'Town, and 7 Days. This video was first uploaded on 12 September 2016, and is available under this Creative Commons licence. This licence is limited to use of ScreenTalk interview footage only and does not apply to any video content and photographs from films, television, music videos, web series and commercials used in the interview.